The SV Werder Bremen completes his anniversary week with a clear home win. Six days after the 120. Birthday presents relegation candidate FC Augsburg in the Bundesliga is not a high hurdle for the Bremen. Werder Bremen Are in addition to the celebrations of the 120-year-old club-with a clear victory in the Bundesliga, even gifted. Five days after the eighth-final Coup of the DFB-Pokal in Dortmund, the Hanseatic League defeated on Sunday the FC Augsburg. At the end of a clear 4:0 (3:0). Due to the success of the Bremen keep the connection to the Europa League places. The Bremen are tenth, the distance to rank six, and Bayer Leverkusen is only three points. For the Augsburg defeat, according to the brief against Mainz 05, a setback in the fight against relegation. Milot Rashica (5.) brought, the Bremen an early lead. Johannes Eggestein (27.) and again Rashica (28.) elevated with a double strike before the break. Kevin Möhwald (83.) was the final score. 88. 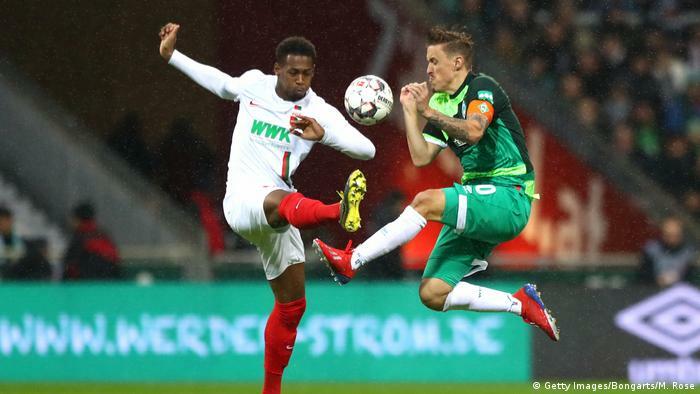 Minute: game exchange in BREMEN and AUGSBURG: JOSHUA SARGENT is for MAX KRUSE substitute. The FCA swaps from: DANIEL BAIER makes space for JOZO STANIC. 83. Minute: ⚽ GOAL for WERDER BREMEN by KEVIN MÖHWALD. Moisander brings a cross from the left, Pizarro extended his head, Khedira is also still there, then the Ball lands at the feet of Möhwald, deducting from eleven meters flat. No Chance for Kobel. 82. Minute: Augustinsson slots free-kick in the Augsburg penalty area. The Ball is cleared behind for a corner. 77. Minute: game exchange in BREMEN: CLAUDIO PIZARRO comes on for JOHANNES EGGESTEIN into the game. When the Peruvians today, he Mirko Votava as the oldest Bundesliga Goalscorers. 74. Minute: The Weser stadium wakes up and rejoices, because Claudio Pizarro on the bench to substitute. 70. Minute: With the sole of the foot is picked, Ji the edge of the penalty area down and shoots. But his attempt goes a few yards to the right. 68. Minute: game exchange in AUGSBURG: ANDRE HAHN comes in for ALFRED FINNBOGASON. 64. Min: Kruse goes to the ground, as he shortly before the Kobel to the Ball. The Ref says No penalty! And also Kruse complains. 60. Minute: It gurgles along: Bremen no longer needs to do in Augsburg, apparently, can not. 55. Minute: YELLOW CARD for DANIEL BAIER after a Foul on Möhwald. 55. Minute: Ji sets the Ball from the baseline to the penalty spot. Möhwald way sniffing around him before the bullet prepare Gregoritsch. That could be dangerous. 53. Minute: game exchange in AUGSBURG: PHILIPP MAX goes down, FREDRIK JENSEN comes in. 52. Minute: Baier checks Pavlenka with a volley from the left edge of the box. The Keeper is down and buries the Ball. 49. Minute: M. Eggestein drives the Ball over the right to the front and. Kruse comes from a 13 metre free to the shot, but with a bit of back position, but he missed the box and shoots over. 46. Minute: Without game changing on both sides of it. Coming back to the FCA again? 43. Min: Finnbogason fails in the one-on-One to Pavlenka. The Czech moves out again of the foot and clears for his Team. 41. Minute: Gregoritsch comes directly in front of Pavlenka to the Ball, places it at the Keeper over and crashes on its leg extended also. Referee Gräfe says: the Ball is played. 39. Minute: J. Eggestein has the next good Chance. He takes the Ball in the penalty area of the FCA, both of them from a short distance but clearly. 36. Minute: game exchange in BREMEN: MILOT RASHICA is down and does KEVIN MÖHWALD place. 33. Minute: J. Eggestein tries from distance, but his shot skims just wide of the left post. 28. 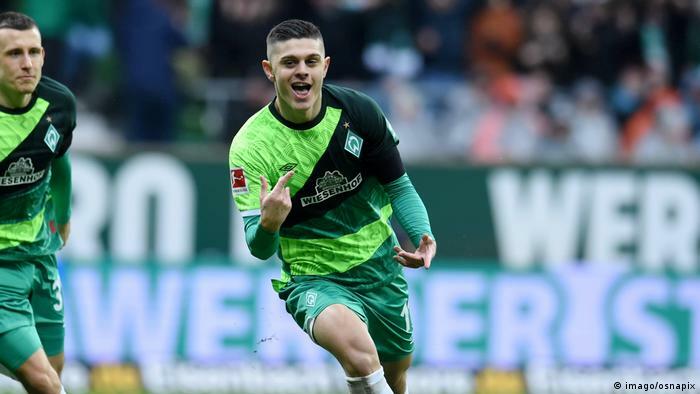 Minute: ⚽ GOAL for WERDER BREMEN by MILOT RASHICA. Now it is much too fast for Augsburg. After a throw-in of the FCA in Bremen’s half of Werder wins the Ball. Rashica is sent to the left side in the depth. He leaves Oxford to the Blank slides and slots the Ball left, right into the top right corner. Beautiful! 27. Minute: ⚽ GOAL for WERDER BREMEN by JOHANNES EGGESTEIN. after a free-kick from the left side, Moisander hitting the Ball as well as not. the leather rebounds to Eggestein, the turns short and the volley from ten metres out to complete. 23. Minute: After an attack on the left and a beautiful cross is Oxford to head the ball, he is a few meters too high. 20. Minute: long ball into the Bremen penalty area, but Ji is against Moisander too hard. Striker foul. 14. Minute: Pavlenka clears a long Ball, the Augsburg-based in front of the own penalty area. As Finnbogason was started. 12. Min: Good opportunity for Gebre Selassie, the free-kick, the ball comes. Kobel can clear the Ball with the knees. 8. Minute: On the other hand, has Finnbogason the first Chance. His header but the ball is Bouncing but is not dangerous. 5. 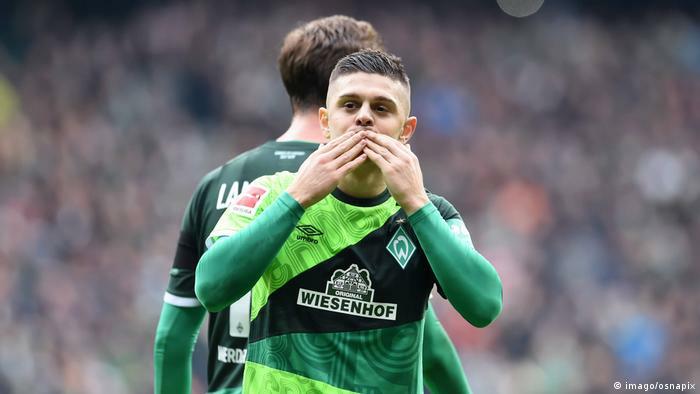 Minute: ⚽ GOAL for WERDER BREMEN by MILOT RASHICA. It doesn’t work a lot of the FCA in this Situation: Kobel with a long tee, the Ball is intercepted and comes on Klaassen to Rashica. The striker makes in the penalty area is still a catch and puts the Ball from about ten meters in the mesh. 4. Minute: Bremen’s early on it and the balls into the opponent’s half of conquer. 15:28 PM: crap weather in Bremen! It is pouring on the river Weser and then the “fear of enemies”. In 15 Bundesliga Games against FCA Bremen was only five times as a winner. At home games there were two wins, a draw and four failures. Perhaps the most colorful anniversary jerseys to help to 120. Birthday of Werder. At 15:24: Augsburg’s last a little morning air and sniffed: 3:0 it was last weekend against Mainz. That was the turning point? At least the triple-a scorer against the Mainzer, Alfred Finnbogason is back again. 15:17 PM: Only on the tenth place is Werder Bremen before this game – it seemed a long time. Most recently it was twice in a row, no victory for the Green-and-White. The game should not be won against Augsburg also had to Bremen, look again reinforced to the bottom. At 15:15: welcome to the DW-live Ticker!